Everyone is welcome at EGC Oberhof! But Families with children will have a harder time than average planning their vacation at the Congress. To help with this, we have put together all the most attractive offers and activities that are especially appealing for families! You will have a blast on and off the EGC venue and save money while doing so. 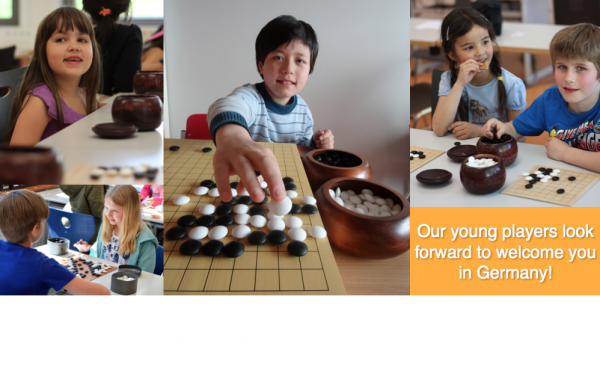 The EGC will also feature a youth tournament, a special 9×9 children’s tournament for beginners and lots of fun events that kids (and adults) can enjoy. Thanks for the link, it gives a helpful overview. The parents babysitter discount sure is a great idea. But what if the parents both want to play ‘simultaneous’, instead of taking turns watching the kid? Did anyone think about day care for the time of the main tournament yet? Would it be possible maybe to have a playroom for the young ones to stay with nannies who call the parents out of their game if a kid needs attention? It would be nice to play the games and only use some of the playing time, when the kid really needs me. I wonder if there’s not a better solution than looking for a babysitter. yes, we will also have day care for the kids. There are several options, which are even combinable: There is a professional day care with extra kids-rooms directly in the hotel; and we aimed to organize also a person from the organizers on demand taking care of the kids.